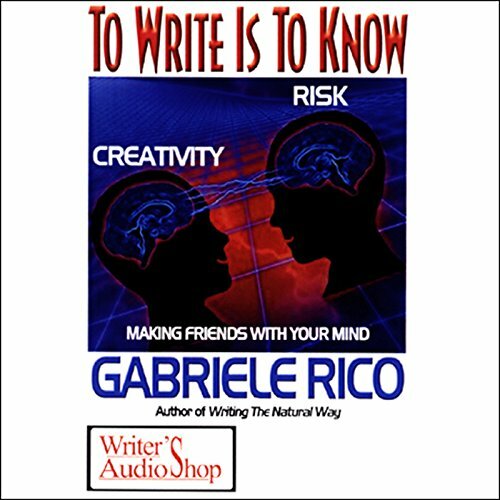 Gabriele Rico urges you to use the simple act of writing to discover who you are and what you think. She presents her widely-acclaimed "clustering" technique to get you started, then adds exercises to help you reveal your mind's patterns on the page. She'll also cover the science of chaos, patterns in chaos, randomness and unpredictability as essential to the creative process, creativity as collaboration, risk-taking as a definition of creative human beings, using polarities to explore your mind, and much more. This is a must listen from Rico. The writing exercises are helpful and fun. It is also great to hear the responses from the students.